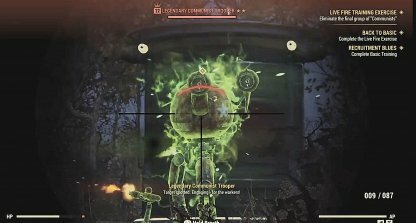 Check out this guide for a full walkthrough of the Back To Basic Quest from Fallout 76, including gameplay tips, guides, and more! To be able to access this Quest, you must head to Camp Mclintlock. It a short walk East from Flatwoods. This mission can also be accessed while doing the Recruitment Blues Main Story Quest. 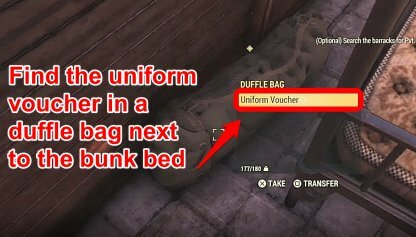 The Uniform Voucher can be found in one of the barracks near the main building of Camp Mclintlock. It is in a duffle bag beside the left bunk bed at the end of the room. 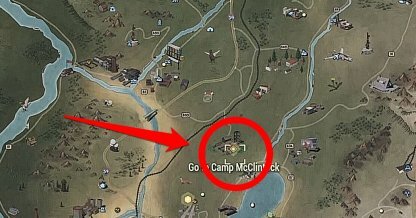 You will be able to get a uniform from the uniform dispenser in the main building of Camp Mclintlock. 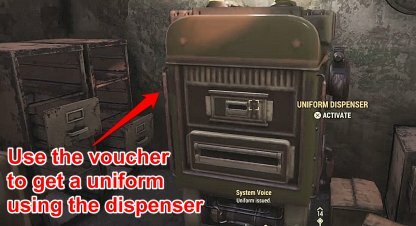 Make sure that you have the Uniform Voucher for the dispenser to supply you with a uniform. 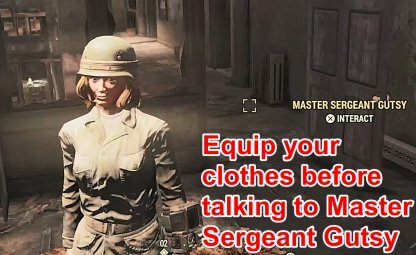 The quest will not progress until you present yourself to the Master Sergeant wearing the fatigues and helmet supplied to you by the dispenser. The three different training courses can be completed in any order, so it is up to you and your preferences, which one to do first. It is recommended to use a fast firing weapon such as the Charging Laser Sniper Rifle so you will be able to quickly get your shots off. This will help you complete the course in the allotted time. When doing the agility course, make sure to activate the buttons in order to progress the quest. 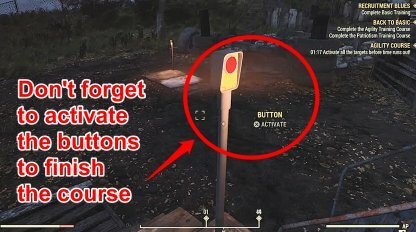 Not pushing all of the buttons will make you re-do the whole obstacle course again. 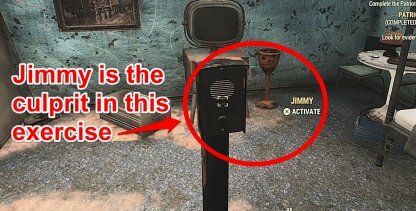 When asked to interrogate three different "people" in this section of the quest, Jimmy is the Communist traitor. However, you still need to interrogate him since you cannot make accusations without evidence. The first two rounds of enemies are fairly easy low level Protectrons. However, be ready for a long fight against the third enemy as it is a high level Legendary Communist Trooper.